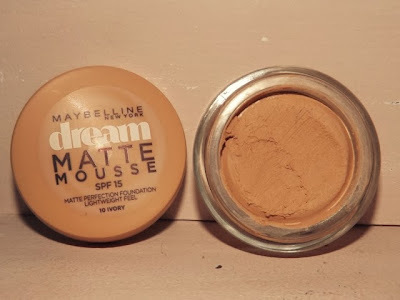 The Maybelline Dream Matte Mousse Foundation has always been a product that has intrigued me. I'm a liquid foundation kind of girl so the idea of a mousse foundation did leave me a tad on the curious side. As someone who suffers badly from breakouts, it's always been important that I've worn a foundation that provides a good coverage, and having no past experience of mousse foundations, I wasn't sure what level of coverage this product may provide. But back in November I decided that I could no longer control my curiosity so I jumped right in and picked up this foundation to give it go, and I've never looked back. Let's get straight to it; this foundation is amazing. I honestly really regret not trying out this little beauty sooner. It has all the qualities I look for in a foundation and I don't think I have a bad word to say about it. I have it in the shade Ivory, which obviously is the closest shade to my skin tone, but there are twelve different shades on offer, ranging from Champagne to Cocoa. You don't typically see this many shades on offer in the cases of most foundations, so I'd really recommend giving this product a try if you're one of those people who struggle to found a foundation to fit your skin tone, as there's lots of shades to choose from. The packaging is surprisingly nice for a foundation. As it's a mousse foundation, the product is packed in a little jar rather than a bottle and it does look nice on my dressing table, if I do say so myself. As the "mousse" element of this product suggests, it's very soft and lightweight on the skin. Unlike some foundations, it doesn't feel (or look) cakey and once it's on your skin you can hardly feel its presence. I apply it mainly using my Real Techniques Expert Face Brush but I occasionally use my ring finger to apply small amounts of it around small detail areas such as my eyes, mouth and nose, as I find the brush struggles to cover those areas (I am on the hunt for a smaller face brush that will help me with this issue if anyone knows of any?). I find this foundation to be very buildable, which is so good if you're looking for something that provides a good coverage. The first application of it does a good job to help to even out your skin tone and start conceal those pesky blemishes and I've found after applying a second layer I don't really need a whole heap of concealer on top, because the foundation has done that job itself. The best part is, it does this without looking orange and cakey, so you can get a good coverage without resembling a wotsit; win win. 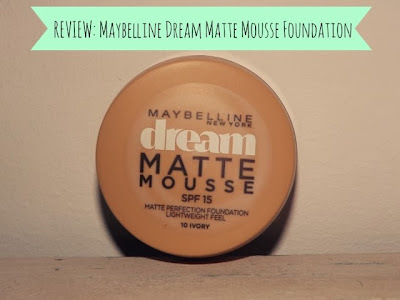 Maybelline claim that this foundation has a matte finish, and I can confirm that this is the case, although I found that my skin was left shiny after I applied my Rimmel Wake Me Up Concealer so keep it in mind that the finish will change if you apply other products on top. To solve this issue I just brush on a bit of my Rimmel Stay Matte Pressed Powder to remove the shine, leaving me with a gorgeous natural finish. This product is priced at £7.65, which I think is very reasonable for such a high quality foundation. I believe that one jar lasts a few weeks (with daily use) so it's definitely a good investment. Overall I couldn't recommend this foundation more and it's perfect if you want a foundation that has a lovely natural finish and feels almost weightless on your skin. The product lasts a good six or so hours at a time, but even after that, you'll only need to do a tiny touch up if anything at all. 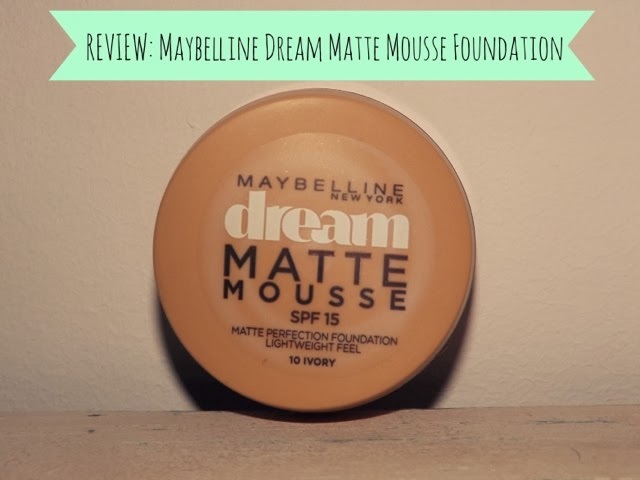 This foundation has definitely converted me to a mousse foundation kind of girl, rather than the liquid foundation lover I used to be, and I'm quite excited to see what other mousse foundations are on the market. What's your current favourite foundation? This sounds amazing! I'll keep an eye out for this.